I know that this is not an opera show but I ran out of materials to write about so…. and operas are expensive for a broke college student. But I’ll try my best to bring opera into my posts! 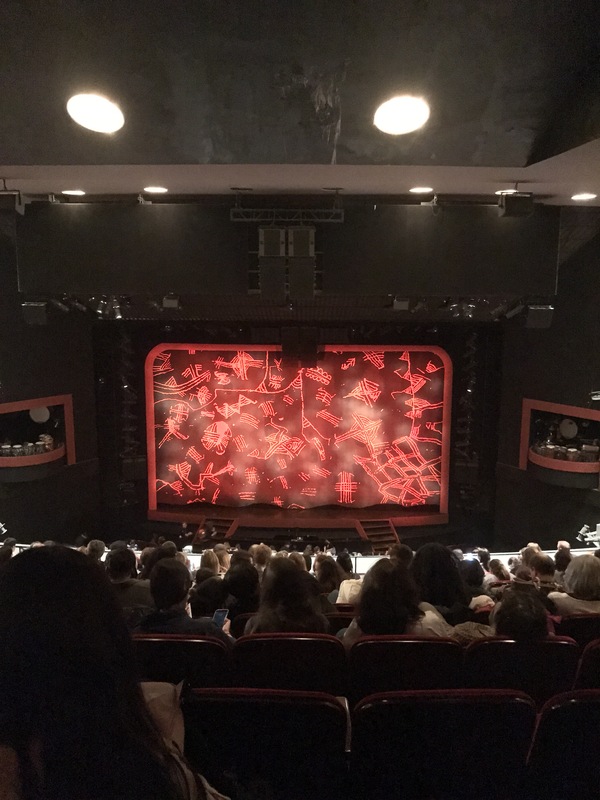 I decided to post about the Broadway show “The Lion King”! I’ve received a free ticket to go see “The Lion King” by participating a “How to Standout” theater internship workshop. I was so thankful for the free ticket. These babies cost a lot so I was definitely going. Honestly, I think the only benefit for being a theater student is to get free tickets like these. All I had to do was go to the box office the day before the show to secure my ticket. And yes I got a spot. The person who handles the tickets almost gave me 2,, but his co-workers stopped him (Damn it!!). Anyways, it wasn’t my first time to watch the show. I’ve watched it last year in the summer (with someone I would not like to remember anymore). It was amazing, I cried 3 times during the whole show. However watching the show this time, wasn’t so great like the first time. I just love the fact that human beings can make something so beautiful, watching shows like this makes me proud for being a human being, because we have the possibility to make something so beautiful and beyond. I think that is why I fell in love with theater in the first place. It’s about people, and together we create something beyond. Watching the show made me realize that I prefer opera over Broadway shows. It’s not because I think opera is better than musicals, no. It’s because there’s nothing other than opera that makes me feel a certain way. When I’m listening to “Vissi d’arte” from Tosca, I can’t help myself because the music and the singing and the meaning overwhelms me. That is why I absolutely love love love opera. And watching “The Lion King” made me realize again for my love for opera. PS: I like to post my outfit that I wore to watch the show. I’m not that into myself but that was an amazing picture because it made me look so thin. But honestly, those photos are for me to remember!